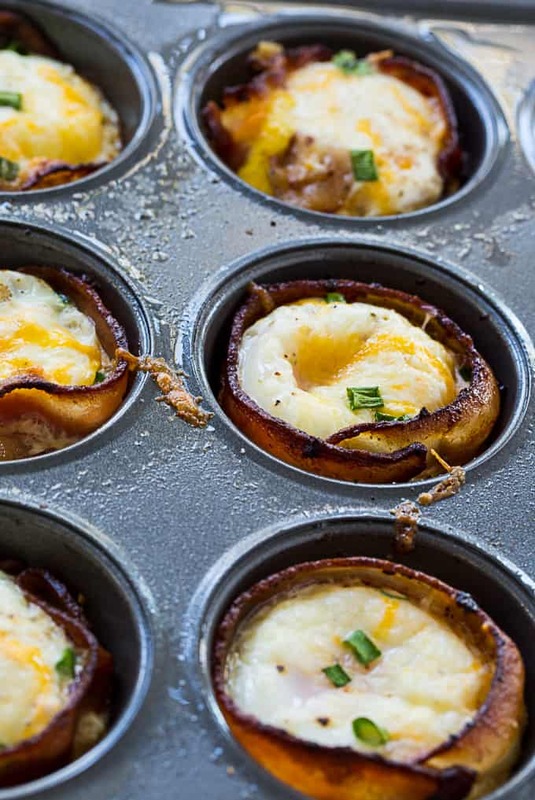 Bacon and Egg Cups are an unbelievably delicious and healthy low carb way to start your day. This easy breakfast is only made from a few ingredients but is so flavorful. It’s a protein packed recipe that is simple, but easily customized. 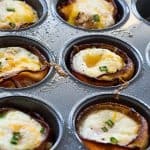 The only other ingredients I add to these egg cups besides bacon and eggs, are just a little cheese and a few sliced green onions. Sometimes I serve them with hot sauce. Their cute little muffin shape is great for a grab and go breakfast. 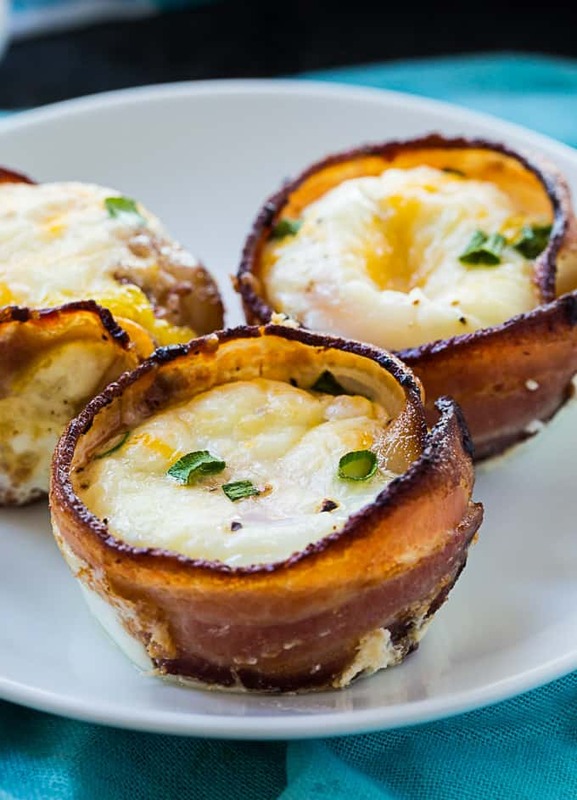 Any type of cheese can be used for these Bacon and Egg Cups. Parmesan and cheddar are my favorite but I often use whatever type of cheese I have in the fridge that I need to use up. Goat cheese and feta cheese are good too. 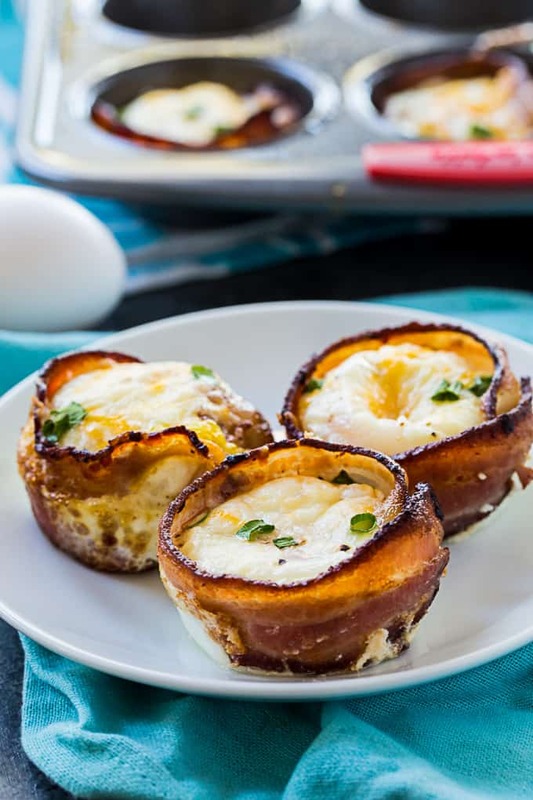 Bacon and Egg Cups are easy to make ahead of time. Just warm them in the microwave. If you prefer you can beat the eggs before adding them so that they cook up like scrambled eggs. Be sure to spray the muffin cups really well with cooking spray or they will stick. Precook the bacon about halfway so that some of the fat is rendered out. Avoid using thick cut bacon. It will not crisp up as well and will be difficult to bite and cut through. 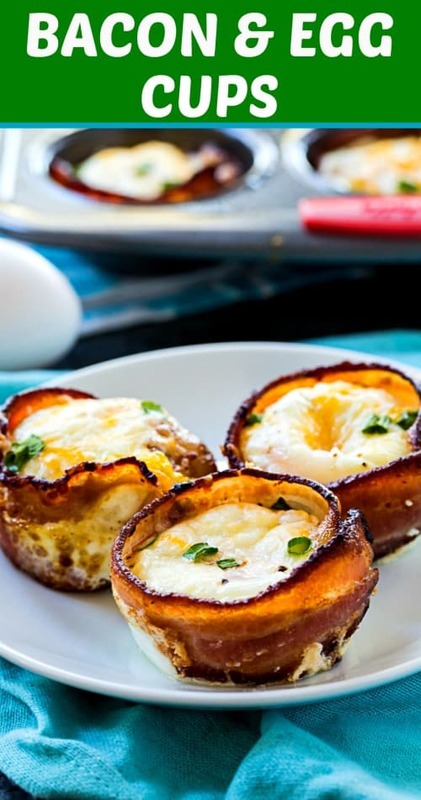 Bacon and Egg Cups are an unbelievably delicious and healthy low carb way to start your day. This easy breakfast is only made from a few ingredients but is so flavorful. It's a protein packed recipe that is simple, but easily customized. Preheat oven to 375 degrees and spray 6 muffin tins really well with cooking spray. Cook bacon in a skillet or the microwave until it is about halfway done. 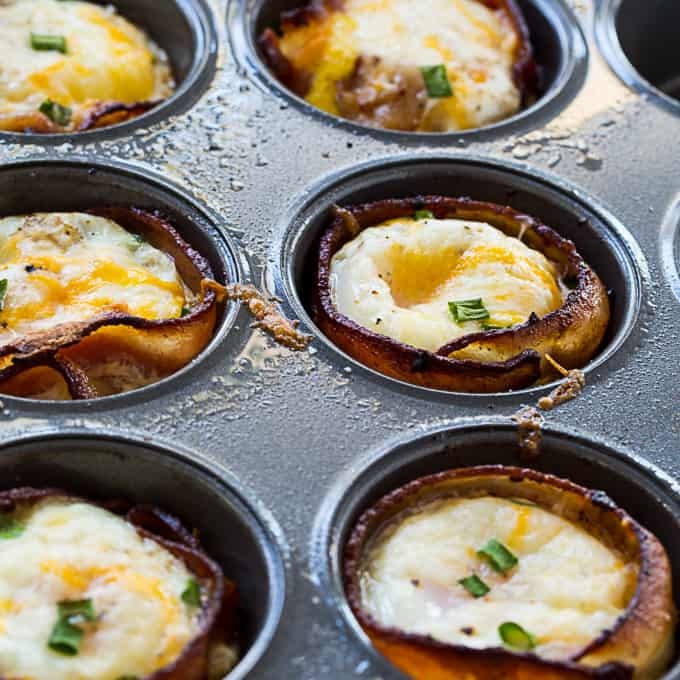 Shape a piece of bacon so it is pressed against the sides of the muffin tins and forms a circle. Crack 1 egg into each muffin tin. Season egg with salt and pepper. Sprinkle a little cheese and green onion on each one. Bake for 13 to 18 minutes. At 13 minutes the egg will be a little runny. Cook closer to 18 minutes if you want the texture of a hard-boiled egg. Let cool for a minute or two and then run a knife around the edge of each egg cup and lift them out.